Can My 401(k) Plan Have Both Money Market & Stable Value Funds? Your 401(k) investment options are controlled by your employer. 2. Should I Open a Whole Life Insurance Policy or a 401(k) First? 3. Where Can I Put Roth IRAs Besides the Stock Market? Deciding to put money in your 401(k) is a sound first step towards your retirement savings, but once it's in the account, you need to decide how to allocate your funds. As you approach retirement, both money market funds and stable value funds offer lower risk than stocks and aggressive mutual funds, but depending on your 401(k) plan's investment strategies, you might not have either or both of those as options. Your investment options for the money in your 401(k) plan are set by your employer. According to the Financial Industry Regulatory Authority, your 401(k) plan will give you at least three investment options, but there's no limit on the maximum number of options -- that depends on your employer. If your employer decides to include both a money market fund option and a stable value fund option, you're able to allocate your assets between the two investment options in whatever proportion you want. Sometimes, 401(k) plans offer brokerage accounts. That gives you the flexibility to pick from any of the stocks, bonds, mutual funds, and other assets offered instead of having to pick from just the funds offered by the 401(k) plan. 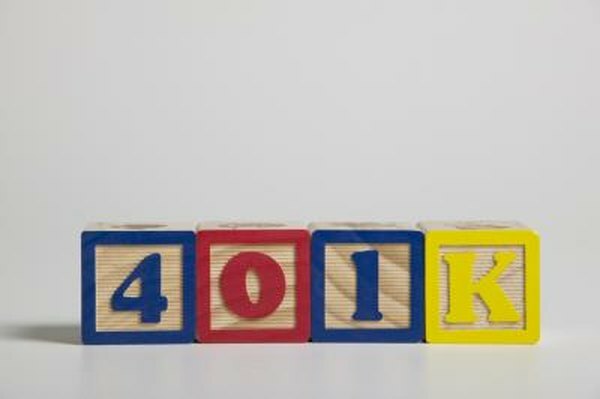 If your 401(k) plan offers that option, you're able to pick any money market fund and any stable value fund offered by the brokerage firm, regardless of the other specific funds offered by your 401(k) plan. A money market fund is a special type of mutual fund that invests only in short-term, low-risk securities such as government securities, certificates of deposit, and commercial paper of companies. While not impossible, it's highly unlikely that these investments will lose money, though of course you usually won't make exceptionally high returns either. If you're approaching retirement and already have enough set aside, a money market fund allows you to continue to grow your retirement nest egg with minimal risk. Stable value funds function similarly to money market funds in that they invest in lower-risk investments, but stable value funds hold investment contracts rather than securities. These generally have longer maturities, but lead to higher yields. The downside to stable value funds is that there are typically limits to how much and how quickly you can cash out your investment because of the longer term of the investments. Similar to money market funds, losses are unlikely, but still possible. Barron's: Time to Buy Stable Value Funds? Can I Take My Money out of Retirement if I Leave My Job? Should I Leave My 401(k) in Stock Since I Have So Many Shares?